Strengthen your body, prevent pain and reduce recurring injuries for the long term! Why see the experts at MD Health? 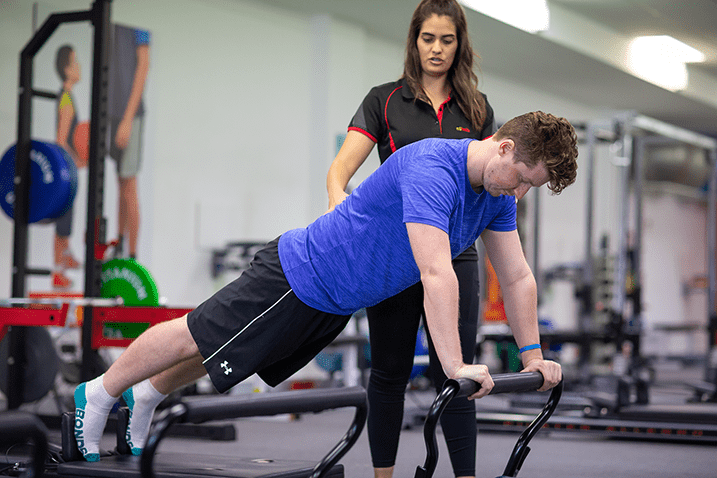 Our unique physiotherapy and exercise physiology services are designed to strengthen your body and prevent pain and recurring injuries for the long term. We don’t just treat symptoms in the short term. We have over 10 years’ experience and combine the latest research in treatment techniques with our qualifications and understanding to reduce your pain and improve your injury in the long term. We combine hands-on treatment and clinical Pilates exercises, which helps you take an active role in your recovery. Our initial assessment is free and involves a complete analysis of your injury or pain. This is extremely important as the biomechanical effects from one area may be contributing to another. For example, a typical case of back pain would involve assessing the lumbar spine, pelvis and hips, as all these areas can contribute to back pain. This comprehensive type of assessment is vital in determining the most appropriate treatment plan – with a goal for long term reduction of pain and recurring injuries. Our Physiotherapists are trained in a wide range of speciality areas. Our team will be able to assist in many ways to help you get moving again. Whether it be chronic pain or acute injury, speak to one of our highly trained professionals to see which path is the best one for you. We will assess all these areas in detail and determine not just the how to reduce the pain in the short term, but a comprehensive plan to reduce the chance of re injury in the long term. Improving the strength and control of the joints – Poor muscle strength has a major affect on pain and joint function. 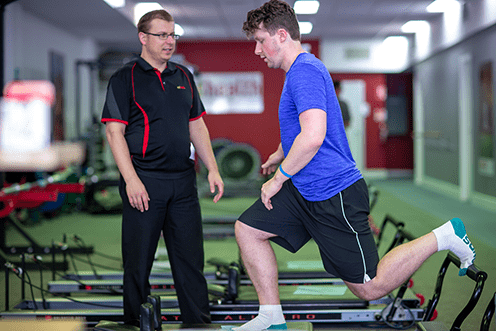 Rehabilitation– Many of our clients have undergone very intrusive surgery and our program has enabled them to make a very impressive recovery as well as making a huge difference to the outcome of their surgery. With good strength base prior to surgery, your rehabilitation can soley focus on the area directly affected by the surgery. This is why preparing your body for surgery can cut the recovery time to just weeks instead of months. We are able to strengthen you from head to toe ( remember when you are in the hospital bed and inactive for several days , your muscles will degenerate). If you have decreased overall muscle strength before your surgery you will have a prolonged and painful recovery.